Big, fat tears rolled down my cheeks when I stepped outside a couple of months ago only to be met with a frightening sight. No, it wasn’t Sasquatch or Freddy Krueger (although this did give me nightmares). It was so much more horrifying. Oh my hubby certainly meant well when he let someone give our yard a spring clean up. The aftermath of his well meaning decision was that my beautiful hydrangeas had been clipped to within an inch of their lives and all that remained were a few brown branches sadly wondering what they had done to deserve such a cruel fate. They have gorgeous, shiny leaves but not a flower to behold (I guess I won’t be needing my simple hydrangea drying method this year)! If your hydrangea are a bunch of sad brown sticks, read these tips for fixing winter kill hydrangeas. These are my favorite pruning shears and I love this organic fertilizer for hydrangeas and this acidifier to change the color of hydrangeas to blue. Mophead (what I have) and Lacecap Hydrangeas (typically pink, blue or purple) bloom on old wood meaning that their buds start to form in the fall for next summer’s blooms. If they are trimmed in the fall, winter or spring, all of those precious buds will be removed and you summer hydrangeas will be flowerless. Only prune in June or July! 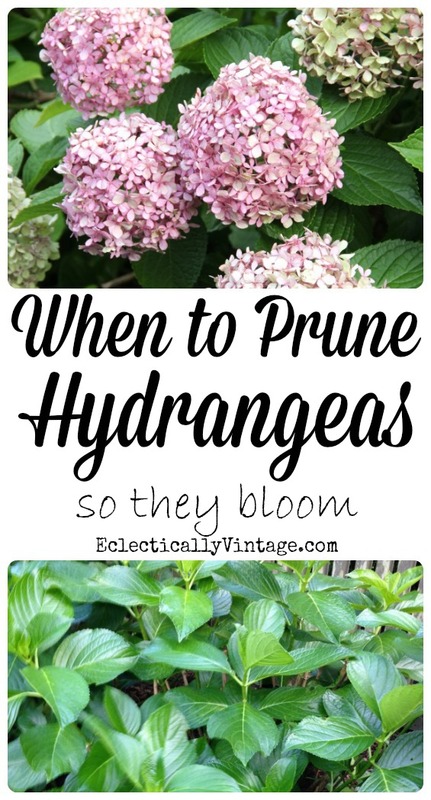 Only prune if the shrubs are too large for their space. Don’t be afraid to remove dead stems or flowers anytime of the year – this should be done annually and will not affect regrowth. PeeGees and Annabelle hydrangeas (usually white) bloom on new wood meaning they can be pruned in the fall and will bloom on new stems in summer. There is a group of mopheads that will bloom whenever they are pruned – one common type is called Endless Summer. These are the exception, not the rule, so make sure you know which type you have before cutting. Read this post if your hydrangeas aren’t blooming or are nothing but sad brown sticks – Why Aren’t My Hydrangeas Blooming – and How to Fix It! I still haven’t fully recovered – it’s a process. Oh, and if that landscape guy ever sets foot in my yard again be better beware of the wrath of the crazy hydrangea-less lady. 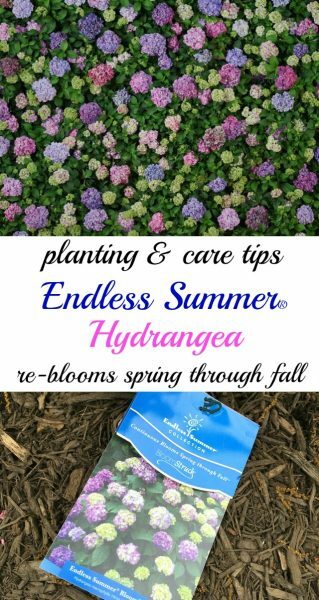 Endless Summer Hydrangea planting and care tips (these stunners re-bloom from spring through summer)! 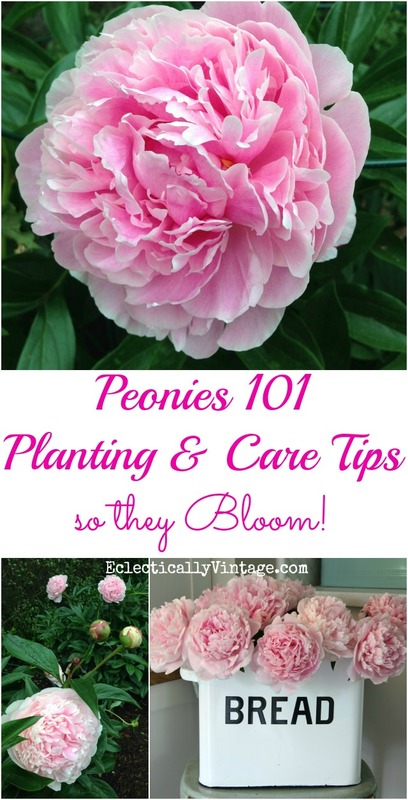 peony growing and care tips and tricks to have them blooming like crazy! I feel your pain. 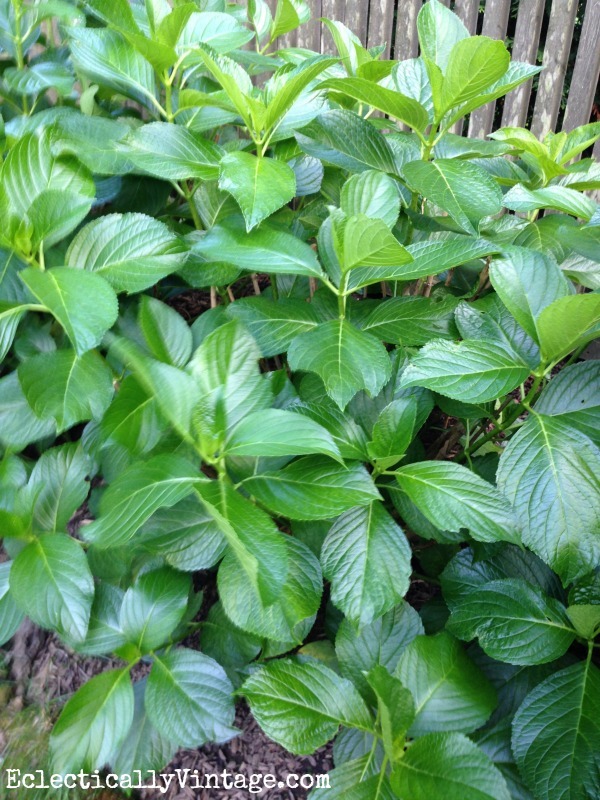 How about this–normally my hydrangea set buds and then drop leaves for winter. This past winter was no different. Then in spring the “dead wood” usually sprouts leaves mid june followed by huge beautiful flowers! This year–the dead wood was really “dead” and all new growth started from the ground at root level. Not one leaf on not one branch on over 8 mature plants. so, i waited–all of june and most of july and finally gave up–not a single flower on the 6 giant plants in the front and two in the back. I don’t get it! Lush healthy looking plants too! I feel somewhat better that there are other heartbroken people with “no-bloom” hydrangeas. I have had some beautiful summer blossoms but after an unfortunate pruning incident we haven’t had a single bloom in 2 years. We had a brutal winter last year but I don’t know to do now. All we can do is wait and hope! I always cover my hydrangeas for the winter. I live in Chicago so we get lots of snow and single digit temperatures. After leaves fall off and before the snow early December, I use newspaper or brown paper bags all over the plant. And I put a Dollar Store laundry basket over it snd a brick on top to keep it secure on those windy days. Sounds like a lot of work but my plants are 12 years old. And get plenty of blooms every year. I have always wanted to do this too but have 25 hydrangeas and just don’t have the energy LOL! I only had six blooms this year and maybe now I know why. I think I cut mine back late last August. Oops! Due to our extremely long, cold, harsh winter, I lost half my roses and 2 of my bushes are only sporting leaves, no buds. I feel your pain. oh no! wishing you armloads of roses next year! My very large hydrangea is not blooming as well as it has in the past…I would have hundreds and hundred of gorgeous blooms…this year, not much…and we did not prune it…yet my small hydrangeas are doing a bit better..We are thinking that it was the horrible winter we had, then it became very warm…and then we had snow…I miss them too!…thanks for the tips and hope that landscape guy does not cross your path!.. heaven help him if he does! I have no blooms on my hydrangeas this year, Endless Summer, and I’m blaming it on the harsh winter. That seems to be the consensus when I did a post about it. Lots of people in the same boat…but it’s still a huge disappointment!! oh no – we better get double the blooms next year! Oh wow Kelly, that bites! I’m sure you gave him the what what! He probably ran out and bought “Hydrangeas for Dummies”!! Hint Hint Yard Man. Are you reading this?!! that would be a best seller! I totally feel your pain!! We had an extremely harsh winter in Tennessee and none of our hydrangeas have bloomed at all!! The plants are very green and healthy but no blooms! Soooo sad!!! Same with mine, in Murfreesboro, TN. Oh no – the whole country is hydrangea-less! we need a flower-less support group! Also love caladiums. When I planted mine at a former home, I mulched with pine straw and tree bark. Never had to dig them up for the winters. They came back every year. (Deep South, zone 8b). That’s great Linda! I love caladiums too! I hear you but we didn’t prune. Our guy said the bad winter destroyed buds. Actually, no one’s hydrangeas around here are blooming. So sad to see no blossoms in summer! Yes, Kelly, “landscapers” are notorious for whacking back mop head hydrangeas, regardless of which cultivar they may be. Take heart in that this year most macrophyllas did not perform as expected; too harsh of a winter. But, you actually can prune the old wood blooming mop heads in the spring. It’s a matter of timing (late April is ideal), and being able to differentiate a leaf bud from a flowering bud. As long as you prune just above a flowering bud (slightly more round looking than the slim, pointed leaf bud), you’re fine. I had no blooms and I didn’t prune. We had a very harsh winter in NC and all I have are lush shrubs. The deer mowed mine down this spring. Thought they didn’t like hydrangeas! Hydrangeas are just a mystery, I think and they bloom when they feel like it 🙂 . I have two bushes in my front yard. I have pruned them, not pruned them; fertilized and not fertilized; some years they bloom, some they don’t. I can’t for the life of me figure it out. Last year, I pruned one, but not the other and guess what – neither one has a bloom on it – go figure! The good or bad news is that you may not have had any anyway. The heavy winter snow killed off a lot of old wood on plants and so a lot of wood had to be removed this spring. My mopheads have actually started to bloom a little, but are certainly not prolific. My Endless Summer is bloomless. My neighbors Endless Summer are FILLED with beautiful blooms like they have never had before. run next door and snip off a few of her blooms!! has not bloomed in years. Why ????? umm that would be *I’m sure*! Oh, I laughed and cried as I read your post. I tried and tried in TX to grow hydrangeas, but failed – just too hot in Austin. But after moving to NC, I was determined to grow the beautiful flowers that seem to grow like weeds here in everyone’s yard. After babying the three new plants along our garage wall last summer, they made it through an extremely overly wet summer. Then come about November, and my well meaning hubby, cut them to the ground. I was horrified and asked him nicely to please let me research when the best time is to prune my precious new plants before doing so. Alas, I have three gorgeous, green, healthy plants and not one bloom this summer…. I asked the woman at the nursery and she told exactly what you’ve shared in your post. “NEVER prune the old wood”, she said. Now we are moving back to TX and I’m sure the new owners of our lovely NC home will enjoy the blooms I will likely never see – next summer. Maybe I’ll give it another try in Texas. I read your post to my hubby and we both had a good chuckle. Well, at least I can *almost *laugh about it now! I’m sure your hubby will never cut another thing without permission again!! Oh noooooooo, I would’ve “screamed!” Can you just hot glue some “faux” ones onto the leaves? LOL … kidding. I hope that they resurrect soon! Same thing happened to us this year. We have several big old hydrangea bushes that were GORGEOUS last year but this year we only had 2 blooms. We’re in Atlanta. We pruned the dead flowers back later than we should have but were careful to only get the flowers & still only had 1 or 2 blooms this year. I was very disappointed. So sorry to hear about your hydrangeas, Kelly. We had such a harsh winter here in Nebraska that we lost a Blacklace Elderberry tree, a dwarf blue spruce, one hibiscus and a cedar tree. Two of my six Endless Summer hydrangeas nearly died. Each has about a dozen small leaves sprouting at the base–finally. The remainder of the Endless Summers are big, thick, full and TOTALLY DEVOID OF BLOOMS! Arrrrrrgh! I’ve never seen anything like it. My Annabelle and Tardiva hydrangeas have blooms, but not nearly as many as usual. Just means our blooms will be even more special next year. I love Hydrangeas. I bought one a couple of years ago and at the end of the first season I chopped it back to stubs. Mistake! A client of mine who is an avid gardener told me to just leave it be next year and I did, I am happy to say it is thriving! The flowers are such pretty assets to a garden! I have never had blooms on my hydranga’s which I have had for over 5 years. Then I bought a blooming hydrangia and that also did not bloom the following year. I do not trim the plants. I even moved one of the plants from a east location to a west location. Help, what do I need to do. Sorry to heat about your flowerless hydrangeas. I live in Alberta, Canada and we also had a very bad winter/spring. I lost my little limelight hydrangea as well as two clematis and a barberry. It was debatable whether or not my other hydrangea would bloom but I am happy to report that is has the best blooms ever. Maybe feeding it coffee grounds and banana peels worked! I tried to bring my hydrangea flowers in to start drying them in water but there were little green bugs that kept crawling out of them so I had to take them back outside. What do you do to eliminate the bugs before you bring them in? Try soaking them in water before bringing them inside – hope that helps! Hi Deborah – it depends on where you live and exactly what type of hydrangea you have. If you have an old wood hydrangea (see the post), do not cut it now. This should only be done in June/July. Hello again.. I Live in Boston,Ma My bush was a Beautiful Purple blue color for 1 or 2 yrs… NOt a single bllom this year .. I have 2 bushes one in the sun is Huge!! The other stays very small (too small 0 shaded area.. Do you suggest I move it and when is a good time.. Love the flowers when they bllom and thank you.. Also would feeding it something help ?? Hydrangeas like morning sun/afternoon shade. I moved a hydrangea once that wasn’t doing well and it’s thriving now. I don’t feed mine so can’t give you any tips on feeding. I feel your pain. I think my lawn guy cut mine down 2 years ago and this past summer – not a bloom in sight. I even try not to trim them on purpose! We’ll have to see what happens this spring/summer. I was also told that because of the freezing temperatures (here in NY) they might have been damaged. BUT it never happened before!! We just bought our new home and what attracted me most was the big beautiful hydrangea next to the deck with georgous huge pink blooms. Before moving in, the previous owner asked if she could dig it up. What? Did she just say that? Of course I said no. So she just chopped off all the flowers. Ugghh. So, I just patiently waited for the next year. Once winter hit, my husband shoveled off the deck and guess where the snow went? Yes! Right on the bush. Broke off alot of branches. Summer came and went with nice healthy leaves but not one flower. Looking forward to this summer. I am hoping I get to see the big blooms that helped me pick out my new home. As a bonus, one branch got buried under the mulch and I found a whole new bush growing next to the first one. Nice! I’m not sure what hydrangeas I have there white but every year I get less branches and bubs, I’VE Pruned and I’ve not pruned still nothing any suggestions? Not sure Liz – maybe you’ve had late spring freezes that froze the new buds. Or maybe they need more sun? You can try transplanting them. I did that to one of mine and it’s thriving now. When we moved to our house, we have 3 in the backyard up against the sunroom. I was redoing all the gardens and they were huge and spaced poorly. So I ripped them out, split them and replanted. Every year since, the plants are big, beautiful and healthy looking, but NO blooms or 2-3 blooms at best. They are the “old fashion” type that grow off the old wood. I don’t prune them at all. Ps. Forgot, I replanted 3 back were they were, just spaced better. The other 3 went on the slightly sunnier side of the sunroom. So same flower bed, just a different side for those 3. Not sure – maybe the transplant did it or you had late spring freezes that froze the new buds. Maybe try some fertilizer (ask your garden center what is best). Hope they bloom soon! Good and bad news. First the bad for you all not me, I have lots of different hydrangeas in my yard in Seattle, Wa and 100″s of blooms, sorry they are gorgeous. Now the good news a few years back, it was really cold for here (Seattle) plus after all the Seattle rain they looked hideous, so I pruned them way back, not one bloom on about 15 bushes for 1 year.. Great news every year since I have had big, beautiful flowers. So glad. I learned it takes a year of waiting to get great results. I just pruned mine just last Sunday. Because of the blooms of the hydrangeas were dead and the leaves looked like something has been eating on them. So I cleaned up what needed to be cleaned up on them. But we have had such a very wet spring and summer. So did I mess up on mine for pruning them now and when will the blooms come back? These are my first hydrangeas. I live in Tennessee. How far down should I cut? I live in Tennessee. How far down should I cut ? I thought your article was only about the type of Hydrangeas that you have. I then read it and it told me everything I did wrong. I appreciate this so much. Oh good Catherine – enjoy your hydrangeas! What will happen if I didn’t get mine pruned in the fall? Will it still bloom? You don’t need to prune hydrangeas – yours should be fine! Found you a while back on Pinterest. I read this with passing interest, because I have two hydrangeas, but don’t pay them much mind. After a HARD April frost, where all my Japanese maples, hosta and even huechera had to restart their spring growth, I noticed my two hydrangea had lots of brown as you described. Actually, I have 3. One, ‘Limelight’ grows stuff on dead branches. The ‘Lady in Red’ and ‘Twist and Shout’ are putting out basel growth, but not on dead wood. I guess I need to go look them up to see how to best care for them. I picked the latter two for their red elements. The ‘Limelight’ was a throw-away from a nursery. It’s rewarded me with beautiful, lemon yellow foliage for several years now. I have no idea if it even has flowers! I live in Virginia beach, Va and I have the most beautiful blooms ever this year. Hydrangeas that is. However my iris didn’t bloom at all well. Any comments? Sorry Irene – I don’t have any iris so I can’t help you there but I’m glad your hydrangeas look amazing! My hydrangeas are in the shade. The blooms don’t start till late summer. I have blooms into November. The plant has gotten quite large. I think last year I trimmed in the fall. Did I hurt the blooms. Sounds like you might have sun loving Limelight Hydrangeas. They bloom in August through the fall with white blooms that turn a beautiful shade of rusty pink. Not sure about the ones you have in the sun – try taking a pic and bringing it to your garden center. 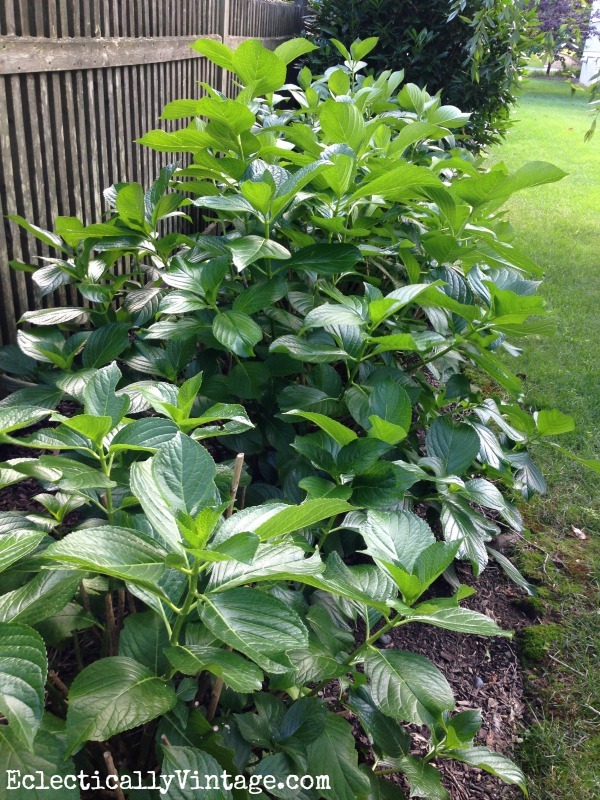 My beautiful Hydrangeas have dark green leaves as big as elephant ears! Not one flower. The first year we moved here from Florida, we cut the wood way down in the Fall. The next year, no blooms so we decided to just leave them alone. This year giants with gigantic leaves, very healthy looking, not a flower among them. We have at least 30 bushes! The former owner loved flowers. Sadly I have a very brown thumb! Patience will yield beautiful flowers Christine! I have no blooms on my hydrangeas this year either AND I never pruned them. Not sure what’s up with that. I have tons of leaves and all these ugly sticks shooting straight out of them but not one flower. I’m completely confused. We had a very harsh winter here which I think also contributed to lack of blooms. We got frost after they budded so the buds died instead of blooming. Maybe that is your issue? It is November 16,2016 and my hydrangeas still have blooms but are green with just a little pinkin the back of the blooms. The plant itself just keeps getting bigger. Had lots of blue and pink and purple blooms until July but now what do I do.Going to freeze this weekend and I’ve been covering it for over a week because of Frost’s. I sure do hate for winter to kill all the gorgeous foliage. Edith – Hydrangeas lose their leaves in the winter. They should rebloom in the spring – enjoy them! I feel your pain Joanne! I am still fuming and won’t let anyone go near my hydrangeas ever again! How does this apply to hydrangea trees??? I got a new one this past summer and am unsure when or how far to prune. Am just sad i am late to read about the dried flower of my hydrangeas ,i just took it out the dried flowers that i should do your tips.. my hydrangeas was on the pot ,should it be possible to transfer on my flower box?am worried i hope the dried flowers i took out ,will grow another new flowers. Pls give me some tips what to do. Thank you .good luck and more success! How do u get the ants out of peonies so u can bring them inside? hope you told your husband to never have that done again… I feel your pain. I have 2 really big limelights hydrangeas. There white in the spring & sumner & pink in early fall. My husband pruns them back in the fall .& they come back in the spring really nice . Since your hydrangea might bloom on old wood, I would wait until fall to remove dead flowers. You don’t really need to prune a hydrangea unless it’s getting too big – good luck! I’m in northern Illinois and my limelight hydrangea looks like new growth coming up from the ground but brown stalks on the old stems they did great last year! What should I do and what am I doing wrong? I never prune my hydrangea till all the frost has gone .and my hydrangeas are the best I have over 150 bloomes on my plant .I have got 3 in all ..so GIVE it a go prune at the end of frost . I rescued two potted reduced hydrangeas from my local supermarket that had been neglected . I reported them and they flourished and I cut them back to encourage bushing not knowing that you should do that to hydrangeas . They became very large and beautifully green but no flowers . I liv in NJ and I plan in wintering them in the garage but I do not know if I should cut them back as I do with my mandevillas or just allow the leaves to dry up and fall off in garage . Should I cut the dried stems back in the Spring or what is the way to assure that they bloom for me . I found your post via Pinterest. I have a hydrangea, but I have no idea what type. I read a few of your posts, but I’m a little (ok a lot) confused and I’m hoping you can help. The bush has dead looking wood stems, with dead looking buds on it. There are definitely new leaves coming up at the base. Should I cut it all back…except for the new growth? Hi Kailene – sounds like you have the same type of hydrangeas as I do. My sticks are pretty pathetic looking too but I’m going to wait a bit longer before I cut off the dead canes just to make sure they don’t surprise me! This was a good read! I didn’t know that was the best time! You’re welcome and enjoy your hydrangeas Vanessa! I think mine are the Endless summer as they start out pink to light green then tan. If you’re not sure, cut a leaf, take a few pics, and bring to your garden center. I’m sure they will know. I like it that way – and once the hydrangeas grow, I can barely see it! Hi. What has happened to several of my hydrangeas is it puts out one or two long brown stems and sprouts leaves and flowers at the very tip. That’s it. I have pom pom hydrangeas sprouting out of low growing mass of leaves. Any ideas how to get these guys to grow full size and fullness? Linda – I would cut back your hydrangeas in the fall to start fresh! Do not prune in spring or you will not get any flowers! Very disappointed in your infirmation about hydrangeas … you left out too many details such as Tardivia hydrangeas, oak leaf hydgraneas … when is the pruning time? Those are the specific ones we have growing in the two lawns af our mountain home and our lake homes. Details will be most sppreciated! Hi Sara – there are so many varieties of hydrangeas and I only offer tips on what I know and plant. Best of luck in finding out what you are searching for. My Hydrangea phantom is small and has not bloomed in three years. It used to a three years ago it wilted one summer and since then all I have are green leaves, not one bloom! Linda – I feel your pain! 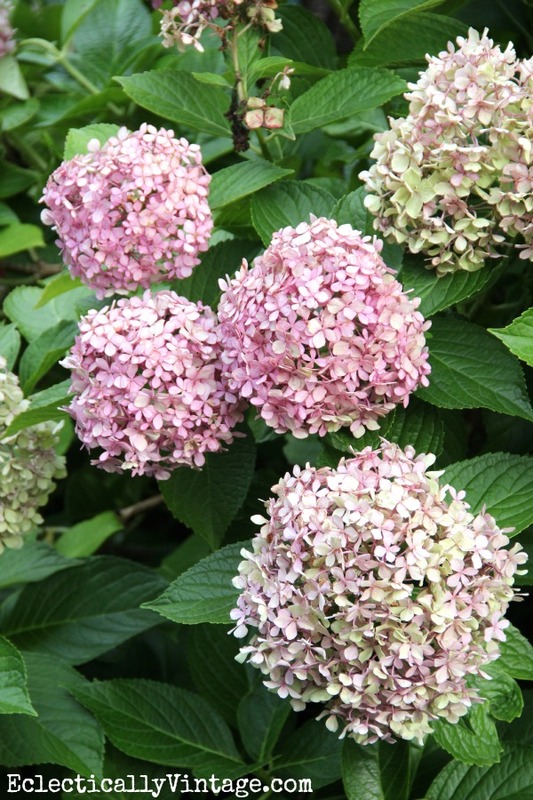 Harsh winters sometimes kill delicate spring buds and if that is the case, you won’t get any hydrangea blooms! I have a shooting star hydrangea that o bought in small pot at Whole Foods. It was in bloom and I couldn’t resist. I’ve since planted and fertilized according to websites I’ve read but it has never rebloomed. Supermarket flowers need a transition period so they can acclimate from indoors to outdoors which may be the reason yours isn’t blooming. It can also be spring frosts that damaged the buds or incorrect pruning. It could take a few years for the plant to get into an “outdoor schedule”. How do I know what kind of hydrangea I have if it was inherited with the place? It bloomed before but this year nothing. Just huge green leaves. The shape of the leaves should give you an idea. Take a pic of it and clip some leaves and bring them to your local garden center. I’m sure they would be able to identify it. I moved into a house with a beautiful blooming East facing Hydrangea. A very “helpful” sister in law cut it back for me one spring after I was cooped up with a new baby. That was 10 years ago and it has never been in full bloom since. I’ve been afraid to prune it any time of the year. Any suggestions on how to get those beautiful blooms back? The leaves are tall and lush just no flowers to speak of. How can I determine what kind of hydrangeas I have if I did not purchase. Your instructions and frustrations are appreciated! When you prune Limelights in the fall, how far down do you cut them? To the ground? Do you cover them with leaves or anything? I live in Ohio so it gets pretty cold. Real info. Just the regular info about mopjesds. How about oak leaf hydrangeas/ and limelight beautiful hydrangeas. You info doesn’t help. You’re welcome for the free information Mary. My links are to other articles on my site and people have found them very helpful. Have a great day. Care for Hydrangeas and peonies.